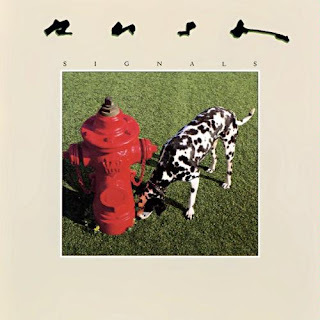 Rush continue sauntering down the broad middle of the road, aiming for the centre of the music market with smooth synthesizers, harmless mid-tempo tunes, and the complete eradication of anything resembling menace or power. 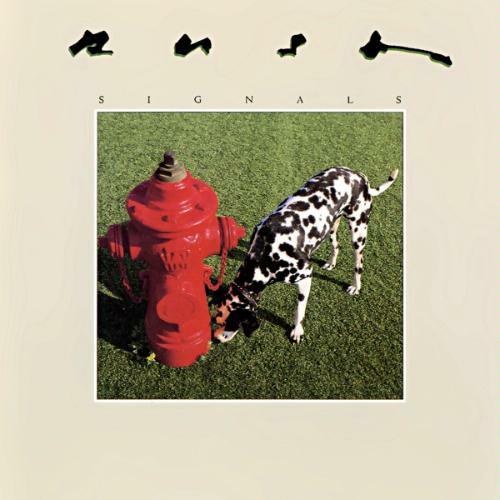 Signals is devoid of energy to the point of collapsing onto itself, the eight tracks leaning so heavily on fat, wholesome synthesizer chords that Jean Michel Jarre can only stand up and applaud. The bass is missing in action, Alex Lifeson's guitars struggle for air, and Neil Peart pounds away on the drums with a lot of good intentions but little impact. Both Subdivisions and New World Man have "radio hit" stamped on their forehead but at least they both find some ambition and a reason to live. The other six tracks generally wallow in the agony of pompous progressiveness, reaching new lows with The Weapon going on for six and a half minutes of what sounds like a computer humming and beeping away in an air-conditioned room, and Losing It sounding like absolute nothingness set to music. Signals has all the energy of the static fire hydrant, and almost none of the peppiness of the Dalmation. Engineered by Paul Northfield. Mastered by Bob Ludwig.